A Ganges morning in Varanasi, India. Photo by Dennis Cox/WorldViews. You’ve done Europe’s Danube, Rhine and Seine, and maybe Russia’s Volga, Portugal’s Douro, or Central Europe’s Elbe. You’re a devotee of river cruising, and you’re not alone. River cruising is the hottest segment of the cruise industry right now, fueled in large part by baby boomers who enjoy the small ships, the close-up passing scenery, and the informative shore excursions, often included in the price. European waterways from Spain and Portugal east to the Black Sea are now teeming with river vessels, with more being launched every year. Cruise lines such as Viking, Uniworld, AMA Waterways, Avalon, Scenic, CroisiEurope, and Emerald Waterways are all competing fiercely for your business there, churning out sleek new ships with tons of innovations like floor to ceiling windows that open up and turn into virtual “balconies” with sitting areas. Uniworld just launched a Baroque-style river ship named and designed in honor of Empress Maria Theresa, longtime ruler of Europe’s Habsburg Empire. It’s akin to a floating boutique hotel. But maybe your eyes are set on something more exotic in the next year or two — something in Asia. It could be China’s Yangtze, Vietnam and Cambodia’s Mekong, or Myanmar’s Irrawaddy. All great river trips. But now you have another incredible option: India’s Ganges. Anyone who’s traveled in India knows that while there are few countries more fascinating, there are also few countries more difficult — and sometimes downright scary — to get around. Highways are virtual free-for-all’s, with vehicles darting this way and that, passing right in front of oncoming traffic, horns constantly blaring. City driving experiences are even worse, having to dodge waves of pedestrians and wandering cows, not to mention other vehicles from careening cars to wooden pushcarts, all trying to claim their share of the road (i.e., all of it). Taxis, buses, private cars — it doesn’t matter. It’s chaos on wheels, and eventually you get to where you’re going, unless you don’t. Train travel is a step above, but can be almost as trying at times. I remember one train ride I took when I was pinned between two other men for four hours, unable to move an inch, in a compartment built for six that had at least twice that many squeezed in. One man was, for all practical purposes, riding on top of me while another was wedged beneath my feet. They reeked of sweat, smoke, and tumeric, and after several hours, so did I. But that’s all part of the fun of traveling in India — once you’re able to look back on it. The only form of transport I’ve had in India that was in any way relaxing was aboard a small boat that sailed the backwaters of Kerala in southern India. For a few hours, all was peaceful, serene, completely safe — and I could relax and enjoy the scenery. I never wanted to leave. But week-long river cruising is coming to India. You can now spend up to eight days cruising the Ganges, the sacred river of the Hindus, and take in some of the sights of India from a brand new river ship. Last year, Assam Bengal Navigation, a joint Indo-British company, launched the 22-cabin ABN Rajmahal, which was specially designed to sail on the Ganges. (The company has been running long-distance cruises on other Indian rivers — starting with Brahmaputra in Assam and later adding the Hugli — since 2003.) Ganges cruises of four to eight days are available from Kolkata (Calcutta) and other embarkation points, and some include the holy city of Varanasi (see below) if water conditions permit. And now, because the Ganges is the big enchilada — make that the big samosa — of Indian rivers, American-based cruise lines are entering the competition. Boatmen on backwaters of Kerala, India. Photo by Dennis Cox/WorldViews. Vantage Travel is the first American operator to offer week-long Ganges cruises, aboard the new all-suite ship RV Ganges Voyager. The cruises are part of longer 19-day India tours that include the “Golden Triangle” cities of Delhi, Agra (home of the Taj Mahal), and the “pink city” of Jaipur, so you’ll get to experience all the excitement of Indian land travel as well. The itinerary starts in Kolkata and includes stops at Kalna, Matiari, Khushbagh, Mayapur, and Chandannagar, all in northeastern India near Bangladesh. Couples can save $1,000 if they book a 2016 cruise and pay in full by June 30, 2015. If your cruise doesn’t already include it, I would recommend extending your trip to visit the holy Hindu city of Varanasi, and very possibly the most exotic place I’ve ever been. This is where the devout come for ritual bathing in the Ganges to cleanse themselves of their sins. Get there at dawn if possible, to see the sunrise on the huge ghats — some used as steps down to the river, others for cremations — and the colorful parade of sari- or loincloth-clad bathers washing in the river. It’s an unforgettable sight. The false trivia “fact” was that the latest in a series of Aranui ships to cruise the Marquesas Islands in French Polynesia will not be called Aranui 5 because the French word for five is cinq, pronounced like “sank.” The actual fact is that the fourth version of the Aranui will not be called Aranui 4 because four is considered an unlucky number by the Chinese owners — so the fourth Aranui will, indeed, be called Aranui 5, despite the “sank” problem. 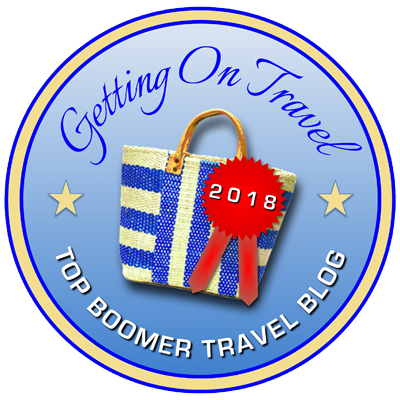 Posted in Baby boomer travel, Countries, Cruises, Tours | Tagged ABN Rajmahal, Assam Bengal Navigation, Ganges River, Ganges Voyager, Ganges Voyager II, India, Kolkata, Uniworld, Vantage Travel, Varanasi. One thing you should have told… Never try to bath in Ganga. It might be the holiest of all rivers, but by far not the cleanliest. You may even find corpses and carcasses flowing through it. I won’t disagree with you on that, Radhika. My advice is definitely not to go for a swim off the boat.